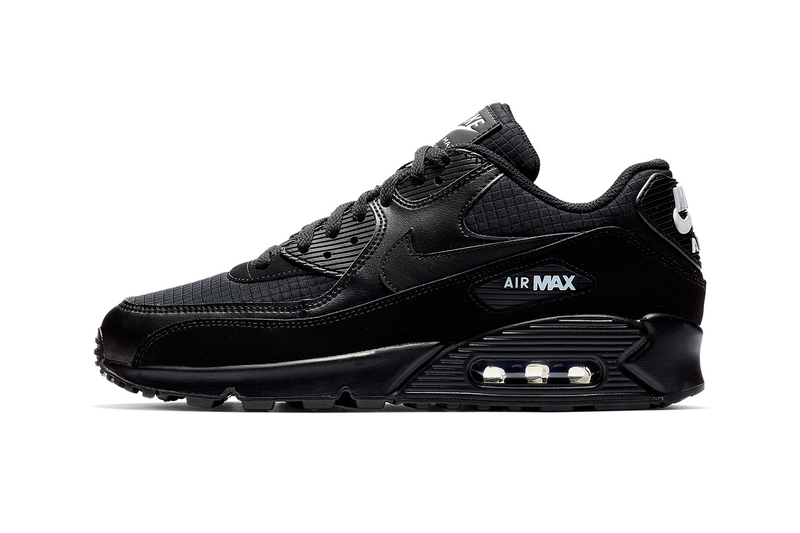 After seeing a “Dark Russet” and “Armory Blue” makeover late last year, Nike returns to a classic all-black colorway for its coveted Air Max 90 model. Keeping up with the same monotoned vibes as the aforementioned looks, this new iteration sees the fan favorite color hitting everything from the quilted-patterned upper right down to its signature Air unit-housing midsole. Hits of white can then be found on the “Air Max” branding on the lateral and medial sides, along with the “Nike Air” logos on the back heels and tongue tabs. This Nike Air Max 90 Essential model is available now at select Nike retailers and nike.com for $110 USD. For more sneaker news, sacai debuted new Nike sneakers during its Fall/Winter 2019 Paris runway show.